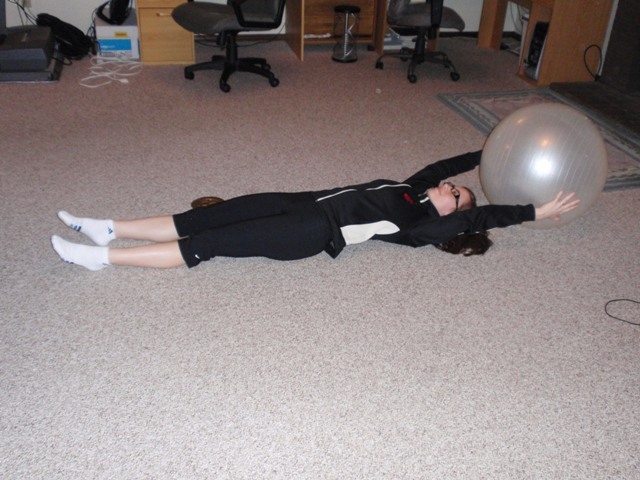 Lie on your back holding an exercise ball in your hands. Lift your legs straight up toward the ceiling, while at the same time bringing your hand/ball to your feet. Place the ball between your legs. Bring your arms and legs slowly back down to the ground. 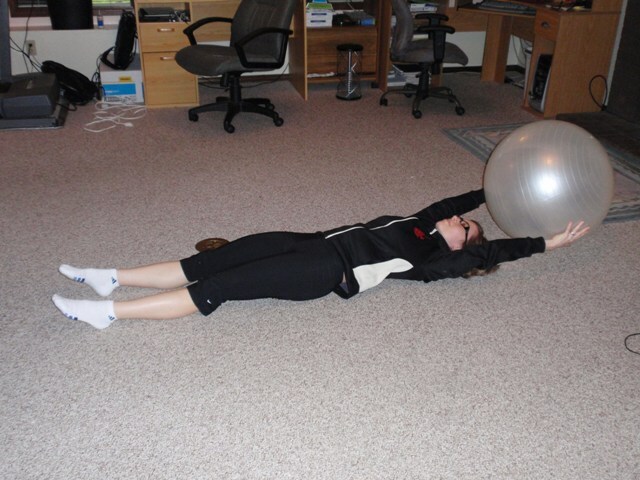 Again lift your legs/ball straight up toward the ceiling, while at the same time bringing your hand to your feet. Pass the ball back to your hands. Slowly lower down to the starting position with the ball in your hands. Complete 3 sets of 8-10 reps, resting for 60 seconds in between each set. Great ab move! I am loving this whole sequence!